As far as reunions go, Kyle Brodziak returning to the Edmonton Oilers isn’t exactly a move anyone would consider to be earth-shattering. Not overly surprising, as we are talking about a former seventh-round pick going back to the team that drafted 15 years earlier. At 34-years of age, the St. Paul native may be past his prime but he should still have enough left in the proverbial tank to help this club climb its way back to respectability in 2018-19. Brodziak solid signing for #Oilers. Vet right-shot C. Will help on faceoffs and on PK. Also effective at 5×5 and good price point and term. Following a season in which the Oilers penalty kill was, at certain times, historically bad and Mark Letestu took a major step back in his overall effectiveness as a fourth line centre, Brodziak may turn out to be just what the doctor ordered. A veteran guy with an extensive resume as a useful bottom-six forward, who is a solid penalty killer, good in the faceoff dot and making just over $1 million on a year deal. Sounds like a godsend for almost any head coach. In the grand scheme of things, Todd McLellan and his staff have quite a bit on their plate. Most notably the need to improve both special teams, find consistent secondary scoring, getting a much better performance from his entire defence core and ensuring his goaltender has a bounce back in order campaign. A lengthy to-do list to be sure but in order for this team to have any hope of returning to the playoffs next spring, addressing it will be priority one. In other words, wondering whether or not his fourth line centre can do his part over the course of an 82-game campaign is the last thing he wants on his mind. Lucky for him, he can scratch that off his list and instead focus on finding players who would fit best next to Brodziak. At first glance, it would appear as though two of Drake Caggiula, Zack Kassian and Jujhar Khaira seem destined for said spots but nothing is written in stone. From an organizational standpoint, having both Caggiula and Khaira force their way into top-nine roles would be an ideal scenario. 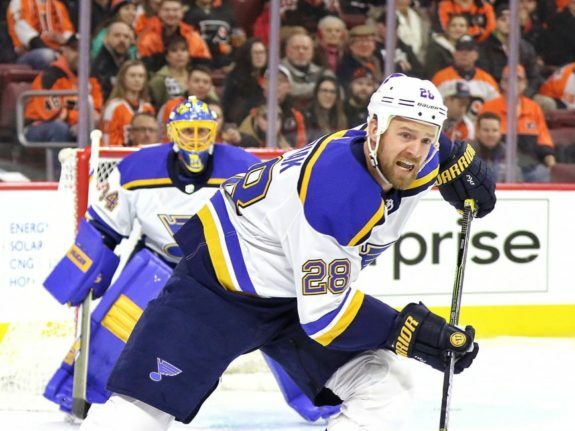 However, neither can be viewed as locks and when we add PTO invitees Alex Chiasson and Scottie Upshall into the mix, any of the aforementioned trio could find themselves on the outside looking in, if not another NHL city, when it comes to earning a spot come opening night. 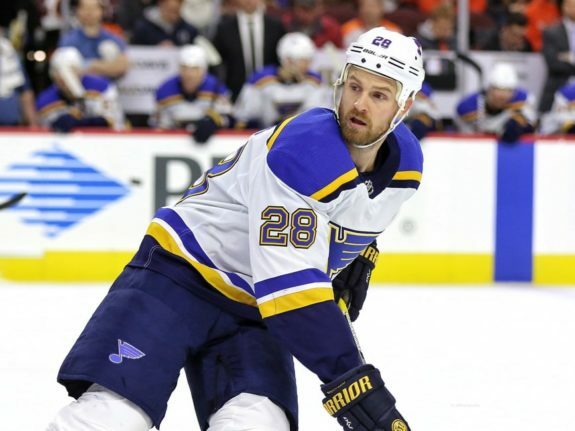 Brodziak has enjoyed an extensive run with Upshall, as the two spent parts of the last three seasons skating alongside each other, at even strength and on the penalty kill, with the St. Louis Blues. Ultimately, that familiarity guarantees nothing but could play a part in helping the Fort McMurray native earn a spot on this roster if he has a strong training camp. As does the fact the soon-to-be 35-year old enjoys getting his nose dirty and can still skate. Regardless of how it plays out, Brodziak should have linemates who bring something to the table. For the first time in ages, Edmonton has the makings of a useful fourth line and one that won’t include a player being asked to take on more than he can handle. Where Letestu was being asked to do heavy lifting on both special teams, rest assured that won’t be the case for the player chosen with 213th selection of the 2003 Entry Draft. #Oilers are bringing three players to camp on PTO’s, who do you think has the best chances of earning a contract and being here for opening night? My bet is in Upshall. What’s yours? Unlike other spots on this roster, the Oilers are set down the middle of the rink on their top three lines with Connor McDavid, Leon Draisaitl, Ryan Strome and if need be, Ryan Nugent-Hopkins. Making the ask of Brodziak fairly straightforward. Take the occasional shift at even strength when called upon, help out with key defensive zone draws and anchor the team’s top penalty killing unit. In today’s NHL, this is about as black and white as it gets. In that role, there is absolutely no reason to believe the former Minnesota Wild cannot go out and knock home between eight to ten goals and finish up with somewhere in the neighbourhood of 20 points on the year. If he does that and plays a lead role in getting the Oilers back to the middle of the pack or better on the penalty kill, the signing would have to be deemed a huge success. There are those who will suggest that is setting the bar low but for me, it’s about setting realistic expectations. If one were to do nothing else but take a quick glance at Brodziak’s stat line from a season ago, the argument could be made eight goals and 20 points would be a downgrade from 2017-18. However, that isn’t the case at all, as he spent a portion of last year playing inside the Blues top six due to injuries to key personnel. Whereas if we were to look at the five seasons prior to last year, Brodziak typically finished with eight goals and 18-20 points on an annual basis. So yes, circumstance inflated his totals a season and makes a regression toward the mean all the more likely. Seems reasonable enough and especially when we come to the realization this will be season No. 14 in what truly has been a heck of a career. All that aside, when it comes down it, we are talking about roughly 10 to 14 minutes of quality ice-time on a nightly basis. That is what the Edmonton Oilers need from Kyle Brodziak in 2018-19. He is a year older and possibly a step slower but there is nothing to suggest he can’t handle the workload. Again, there are no guarantees but my guess is this reunion ends up being one the organization, player and fans are all thrilled with.